Free shipping. Buy direct from HP. See customer reviews and comparisons for the OMEN Laptop - 17t Best Value. Upgrades and savings on select products. With this kind of power, they’ll be running scared. Includes the latest processors  and dedicated graphics. And with high performance cooling in your arsenal, you’re ready to conquer even the most intensive AAA titles. A Dragon Red backlit keyboard with highlighted WASD, customizable macros, and 26-key rollover anti-ghosting, ensures every keystroke is detected. With a 1080p with 120 Hz refresh rate  display, combat without frustrating lag and image ghosting. With this kind of power, they’ll be running scared. Includes the latest processors and dedicated graphics. And with high performance cooling in your arsenal, you’re ready to conquer even the most intensive AAA titles. A Dragon Red backlit keyboard with highlighted WASD, customizable macros, and 26-key rollover anti-ghosting, ensures every keystroke is detected. With a 1080p with 120 Hz refresh rate display, combat without frustrating lag and image ghosting. When the going gets tough, don’t crack under the pressure of a slow and unresponsive PC. The HP OMEN laptop 17t lets you outshine the competition with high powered processing and brilliantly precise graphics. Designed for overclocking and engineered with zealous gamers in mind, HP OMEN laptops give gamers the tools needed for perfect kill shots and fast action strategy. The integrated Intel® Core™ i7-8750H on the HP OMEN 17t boasts 6 mighty cores with an upgradeable NVIDIA GeForce® GTX® 10 Series graphics card. Not only does this gaming PC look as good as it runs, but it can handle the long hours you dedicate to climbing the leaderboard. Play on for hours with the strength of the 8-cell 89 Wh lithium-ion battery. Stop sacrificing the high tech specs you want on PCs that just can’t deliver. 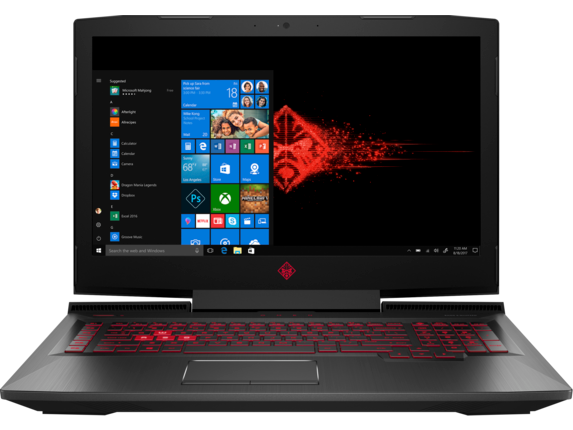 The HP OMEN 17t best value laptop lives up to its name, giving you every bit of industry-leading technology within a 16.38 x 11 x 1.29-inch body. Spice up your rig with the beauty of a full-size island-style keyboard with a handy numeric pad. The red backlight makes for intense nighttime play while the NKRO registers every key you press at a time without dropping a letter or missing a beat. Hear every sneaky creak and foreboding blast with loud and crystal clear audio playback provided by built-in Bang & Olufsen speakers. Crank up the volume without experiencing any of the dreaded crackled sound distortion. 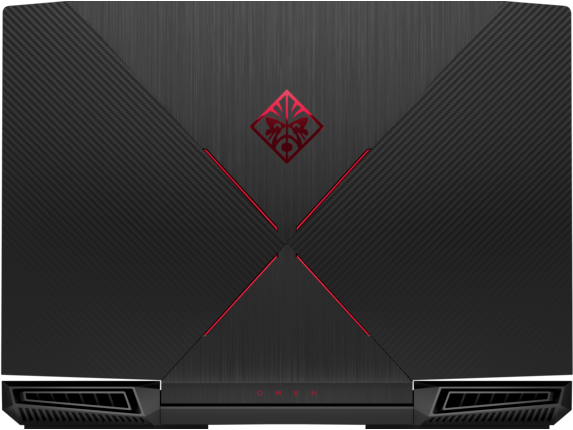 Bolstered by HP Audio Boost, the HP OMEN 17t gaming laptop dual speakers balance loudness and clarity while enhancing bass and speech quality. Interested in a more intimate audio experience? Plug in our HP OMEN Mindframe headset for ultimate immersion and optimal advantage. Designed for comfort and long wear, these cushioned headphones are equipped with active ear cup cooling technology to keep you at ease all day and all night. Maybe you’re a casual gamer, or maybe you’re an eSports pro. 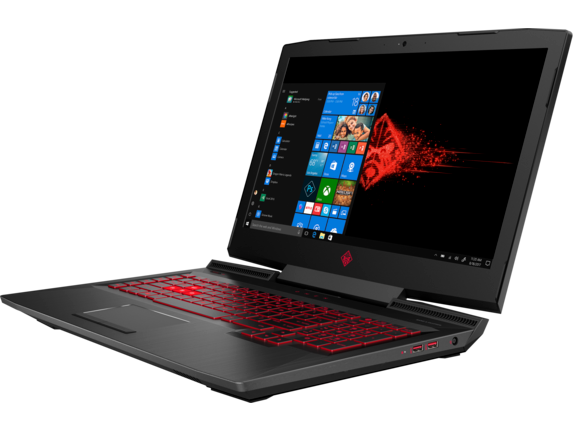 Whatever you are, get the most bang for your buck with the budget-friendly monster of a gaming laptop the HP OMEN 17t has proven to be. Any gamer looking for a one-of-a-kind experience will be more than satisfied with the computing power this laptop delivers every time you power it on. Tailor your rig from processor to storage with HP’s user-friendly customization option. Turn the HP OMEN 17t into the fullest of packages by upgrading your Full High Definition display to a 4K IPS display. Need more storage than the included 1TB 7200 rpm SATA; 16GB PCIe® NVMe™ Intel Optane™? memory Expand up to 1TB 7200 rpm SATA; 512GB PCIe NVMe™ M.2 SSD to house all of your games, music, videos, downloads, and more. Given the growing file sizes of modern games, this laptop is built to stand years of intense gameplay. Headed to competitions? Bring this powerful laptop computer with you wherever the leaderboards take you. 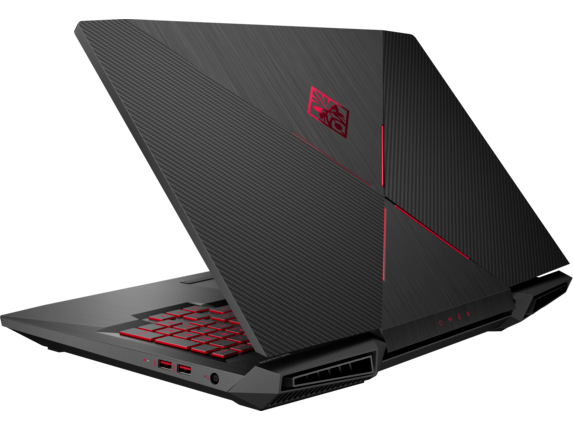 Conveniently sized to fit inside most laptop backpacks, the HP OMEN laptop 17t changes the face of on-the-road gaming. Leave the heavy hardware at home. This 7 pound PC is the lightweight companion mobile gamers need.